So you want to take Spanish lessons. Great! So, how do you decide which Spanish Language School is best for you? Where? For how long? For most of us being comfortable in our surroundings is important. It is difficult to learn anything if you are too hot, too cold, or just plain miserable for other reasons (allergies, for instance). There is also the convenience, time, and cost involved in making a decision. You might have a semester or longer to study, or you might have two weeks of your vacation time to utilize this learning adventure. Whatever you plans, you need some basis to make a decision which will not only help you learn Spanish, but be a pleasant encounter. Where do you want to learn Spanish and live Spanish? The most convenient place for quite a few English speaking countries is Mexico. Why? Check an airline ticket cost online, and you will find out. Most flights from the US and Canada, for example have specials running nearly all the time. You can save a bundle on the cost of a round-trip airline ticket. Not only that, the cost of living (place to stay, food, transportation) are much cheaper in Mexico than other places you could chose to go. Secondly, Mexico is not only rich in history, but has a variety of climates all rolled into one country. Love the beach? Then, consider going to Puerto Vallarta, Cancun, or Playa del Carmen. Prefer the mountains? Then check out Morelia and San Miguel Allende. 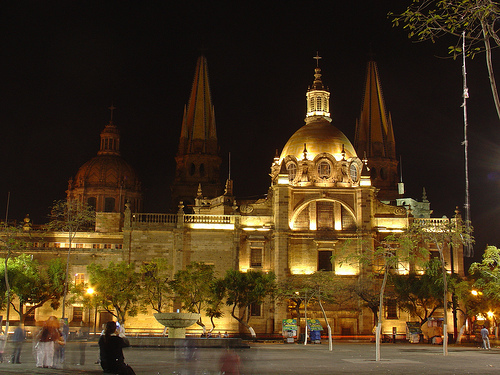 Love a good climate with friendly people, then Guadalajara is the place for you. Want a place near Mexico City? Puebla has several Spanish Language Schools for you to find out about. Then, there is the jungle. Oaxaca boasts of jungle adventures. Check it out. However, keep in mind that a tourist area is going to be more expensive than a regular city or town. What about college credit? It is true that college professors have their preferences in which they advise you when you make a choice. However, they have usually not been to every Spanish Language School in the country. Some are excellent and others not so good. On the other hand, if you contact the Spanish Language School of your choice, they will be glad to help you get some college credit whenever possible. Some Spanish Language Schools already have permission to do so with various colleges. Just ask. Remember, better every Spanish Language Schools have highly educated teachers, not just some natives that want to teach or think they can. You want the most for your money, right? One important factor here is if the every Spanish Language School is also accredited in Mexico. Once you are online visiting various sites, scroll down to the bottom and see what, if any, professional organizations that particular Spanish Language School belongs to. Also, see if they are able to give the DELE. The DELE is accredited by the government of Spain. It is an honor to be able to give the DELE and only a few Spanish Language Schools have this privilege. You know you are getting the best if the Spanish school can offer the DELE. Learn Spanish and enjoy the culture: Extra Curricular Activities! The other factor, very important to some people, is the list of activities you can do while you are visiting and going to your Spanish Language School. Like to scuba dive? Hike in the mountains? Dance until dawn? Listen to mariachi music? Explore ancient ruins? Mexico has it all. It just depends on your preferences. Many Spanish Language Schools offer outings for the students. This way, you can get a guided tour via walking, or pay for a new adventure with help with the tickets. Next, some Spanish Language Schools have dormitories that you can stay in, while most let you do a home-stay with a Mexican family. This way, you are totally immersed in Spanish, plus getting to eat homemade Mexican food. Note that Mexican dishes are famous the world over and very popular in many countries, not just Mexico. Many Spanish Language Schools offer a choice of various hostels, posadas, hotels, or apartments near the school. It is up to you and your preferences as well as your budget as to which you will choose. Not sure how good your Spanish is? Never fear, nearly all Spanish Language Schools will give you a test, either in person or online, before they put you into a course. You also usually have the option of changing the level if you think it is too hard or too easy. Some Spanish Language Schools offer a money-back guarantee. Others let you rent textbooks and not buy them. Still others have an all inclusive price that includes materials, housing, registration fees, etc. Some Spanish Language Schools even use their own materials so you do not have to buy an expensive text. Thus, make sure you investigate carefully for hidden charges before you decide which place is best for you. About Bad Spanish Language Schools! A bad Spanish Language School will not be part of a professional organization. A bad Spanish Language School will not have highly trained teachers. A bad Spanish Language School will not offer many extras. You are on your own. What is worse, a bad Spanish Language School will not teach you very much. You more or less have to teach yourself, which is a waste of your valuable time and hard earned money. A bad Spanish Language School will not offer any college credit or even try to help you get it. 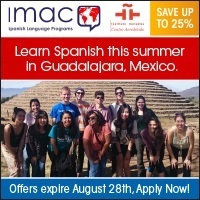 Do your homework, and you will have a marvelous time learning Spanish in Mexico!